Mitsubishi Turbocharger and Engine America Inc. recently announced its decision to partner with JMP Marine for seven of its keel cooler pumps. 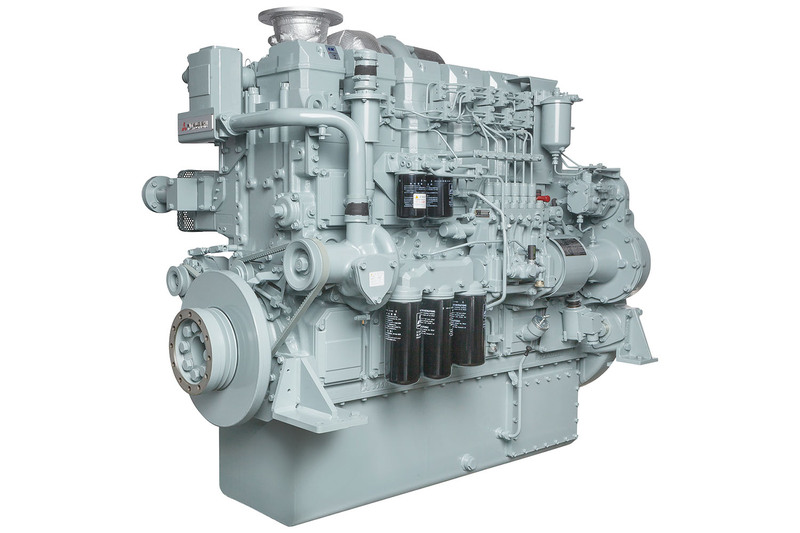 The keel cooler pumps, JPR-ME5000, are heavy and continuous duty engines. At 158 gph. at 2,850 rpm., the JMP Corporation JPR-ME5000 bronze impeller cooling pump has 2-inch national pipe thread (NPT) in ports and 1.5-inch NPT out ports. Compact and lightweight, it’s 8.85 by 7.71 by 8.58 inches and weighs 34 pounds. The JMP ME5000 series with gears offers keel cooling applications of Mitsubishi marine engines’ S6A3, S6B5, S6R, and S6R2 series. Mitsubishi engines have a deserved reputation for durability and fuel economy. With 25 percent more iron—and long stroke and low compression for reduced engine stress—they deliver long, reliable service lives. Their maintenance-friendly designs save on costs and shorten machine downtime.